We met with our friends tonight and prayed together, laughed together and cried a lot, together. We talked about forgiveness and seeing things from a bigger perspective. That’s a hard lesson to learn. That is a hard viewpoint to take. 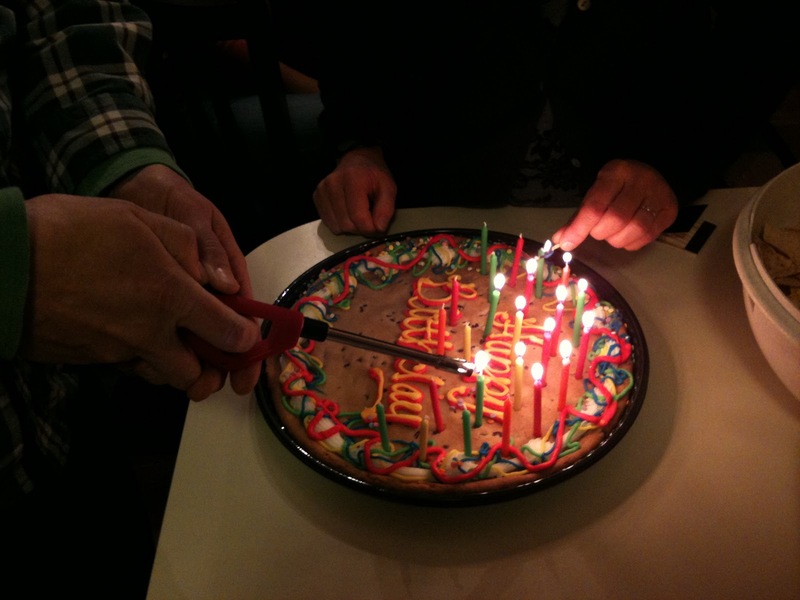 I turn 47 in a few days and my friends lit the candles on a giant cookie and sang happy birthday to me. Despite the tough topic of the night, it was a wonderful evening and I wouldn’t trade these people for anything…except another giant cookie. I’d give them all up for that.